A video camera pipe inspection provided by A-1 Pumping & Excavating allows for a real-time visual inspection of underground sewer lines and other piping to determine the condition inside the pipe. A flexible fiber optic cable with a specially designed high-resolution video camera on its tip is inserted by our trained technicians into the pipe for inspection. As the cable is pushed through the pipe, the hardened waterproof camera, equipped with powerful lights, records its journey and findings. Video images are transmitted to the camera operator who can make an informed diagnosis of any problem found. The video inspection can be saved for a permanent record. Video cameras may be used to identify pipe damage and obstructions that inhibit proper flow or create occasional or repeated backups. The cameras also verify that obstructions have been eliminated and that the lines are clean following our septic pumping service. The condition of a pipe typically cannot be determined without a visual inspection using an in-line camera. Septic Tank Location — another use for a camera is locating the septic tank if the tank cannot be located by other methods. 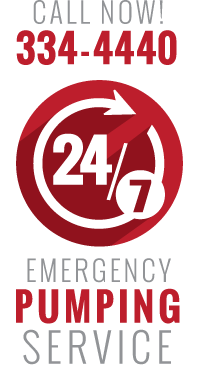 We realize that an emergency with your septic service can be a nightmare for any homeowner or business owner. Call A-1 Pumping & Excavating for accurate and affordable septic camera inspections in Sioux Falls, SD and the surrounding area. 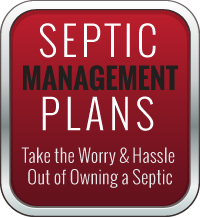 Let our team of professionals take the guess work out of your septic problems.